Every tooth in a person’s mouth is very valuable because it serves a function. You need your teeth to flash a beautiful smile. You need your teeth to be able to eat a variety of food. You need your teeth to produce certain sounds during speech. You need your teeth to hold your bite and maintain the integrity of your facial structures. Your teeth are important because of all the reasons mentioned above, and if a tooth is no longer restorable through traditional restorative fillings and you do not exactly want to resort to a tooth extraction, you can get a root canal procedure to save it. A root canal procedure is a dental procedure that basically saves the tooth so that it can still be retained in the mouth. Instead of opting to extract the tooth, you are given the option to save it and still enjoy its function. The procedure renders the tooth dead, but it is already rid of infection and then sealed to prevent recurrence of disease. The root canal procedure is carried out with anesthesia. The anesthetic solution is deposited locally around the area, to numb the tooth and once it is, the tooth is accessed until sufficient “drop” is achieved and the pulp chamber on the crown of the tooth has been reached. From the chamber, the orifice or “holes” can be seen to signify the location of the pulp canals leading into the root area. Through the orifice, the pulp is handled so that it can be pulled out or extirpated. As soon as the pulp has been removed, the tooth will be “dead”. The next steps will involve the cleaning and shaping of the canal with the use of files of increasing diameter, until sufficient enlargement has been achieved and appropriate depth has been reached. The root canal procedure can be carried out manually, but it can also be performed with the use of high-tech equipment such as an pulp tester, endo motor for filing, apex locator and obturator. 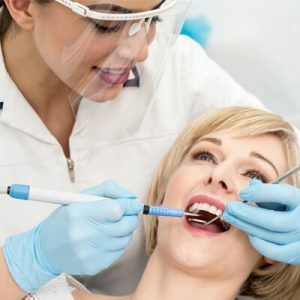 Without it, dental treatments can go on as it used to and once proper filing has been completed, the tooth will be sealed with a biocompatible material to fill the void that used to be filled by the pulp tissue. This obturation process completes the actual root canal procedure, but after that a final restoration should be given. Since a root canal treated tooth is considered dead, it is more brittle compared to other teeth. So when deciding on a restorative option, you should really consider providing some added strength to the remaining tooth structure. Ideally, a normal tooth restoration with composite resin is sufficient, but it is only acceptable for teeth with much natural tooth structure left to support it. A root canal treated tooth also discolours as a result of the pulp being removed, so if you are dealing with a front tooth, a dental crown may be more aesthetic. Any tooth that has a broken crown can still be saved with a root canal procedure. After the root canal, a post can be inserted so that the core of the crown can be built and then this tooth can be fitted with a crown. To provide the tooth with better strength, an indirect inlay or onlay made of porcelain or ceramic can be prescribed to the tooth. As a stronger option, you can also have a crown over this tooth to improve its chances of living longer in the mouth.